The Tram shut down was expected as repair work moved forward on a tight time schedule. RIOC previously announced the likelihood of four days of shutdowns geared to expediting repairs and enhancing safety. 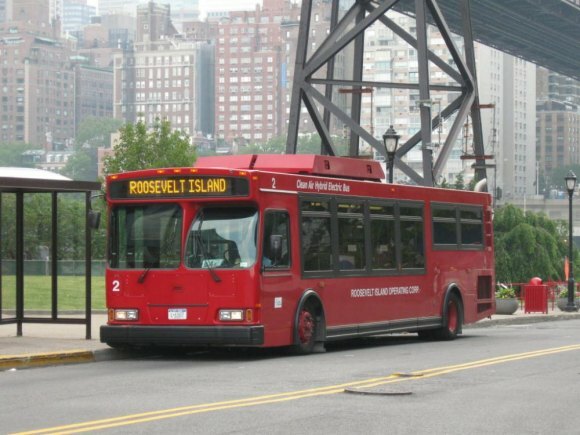 Red Bus shuttle services will begin an hour later, this week, starting at 11:00 a.m. at the Roosevelt Island Tram Plaza. The turn around destination is 58th Street and 2nd Avenue, and shuttles are expected to operate at 1/2 hour intervals until 8:30 p.m.
RIOC tells The Daily that reduced hours are the result of extremely light use of shuttle buses, last weekend. They report only two riders, indicating little need to justify expanded services.